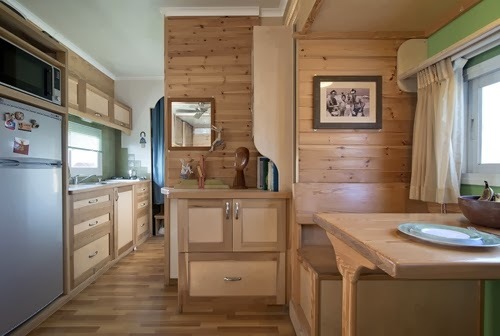 RV is an American term meaning Recreational Vehicle. 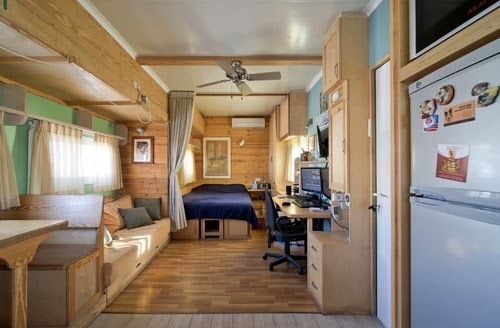 Yosi Tayar, an Animator, by profession with a lot of experience in carpentry and interior design, constructed this mobile House during the Course of a few years. The cost of the project has been tallied up to about $225,000. 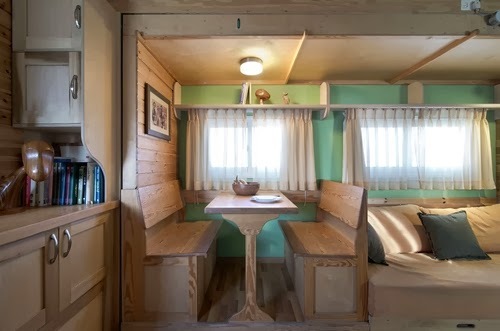 Looking at the RV from the outside you really would not guess the comfort and the homely feel you get on the inside, not to talk about warmth as it has about 18cm (7 inches) thick walls. For more information please read the article. 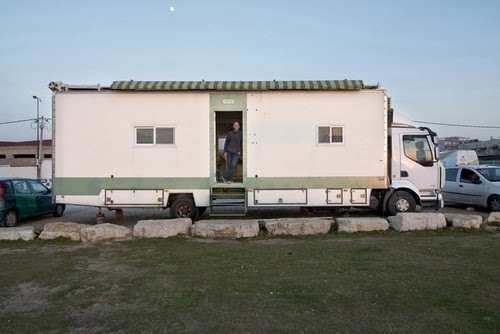 Images via Ilan Nachum. If you like this, have a look at our Architecture Interesting Folder. 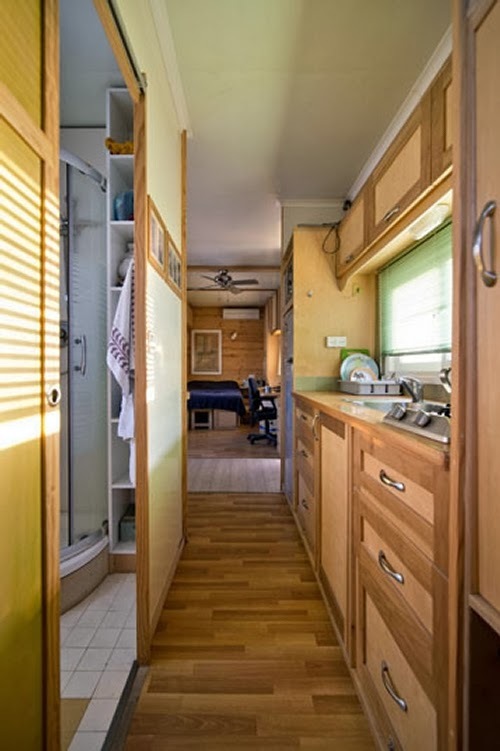 As I said above looking at the RV from the outside, you wouldn't guess what it looks like on the inside. 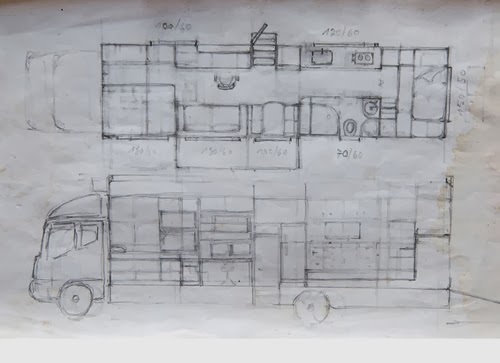 Even though it is a simple plan and section view it should be good enough to identify the various parts of the RV. We will start with the Master Bedroom on the Right of the Plan and move to the Left towards the front and Bedroom 2. From the Front to the back we have; on the left, the Dining Area, the Living Area with a large sofa, in front of this is the working area and beyond that the Master Bedroom. This is a better look at the Dining Area. 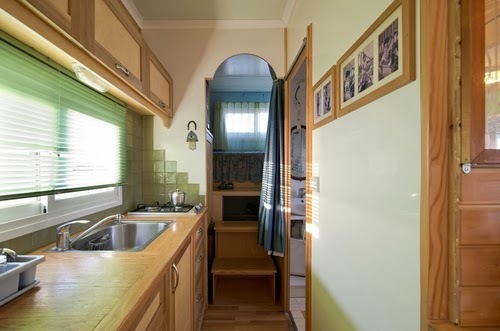 Kitchen Area, opposite the Worktop Area, to do all of your food preparation and plenty of cabinet space. We are in the Kitchen, we can see the Shower Room on the right and Bedroom 2 at the end of the Corridor. This is a view of the corridor in the opposite direction, looking at the Master Bedroom. You can see on the left the entrance to the shower Room. 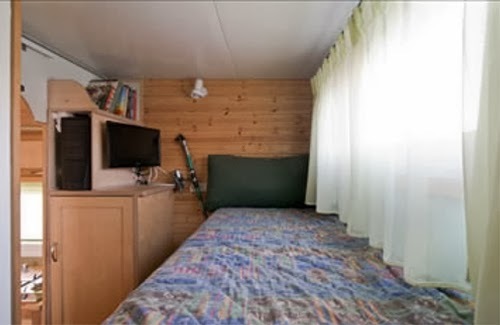 This is a View of Bedroom 2, compact, cosy and light thanks to the large window. 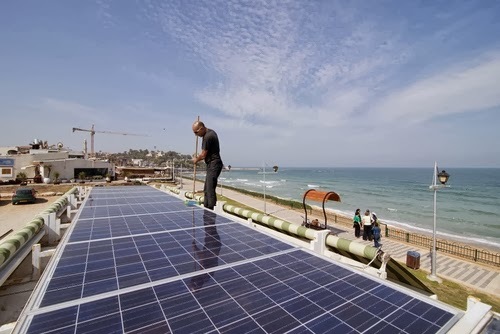 Solar Panels on the roof help with the electricity and worming up the water for the shower Room and the Kitchen. 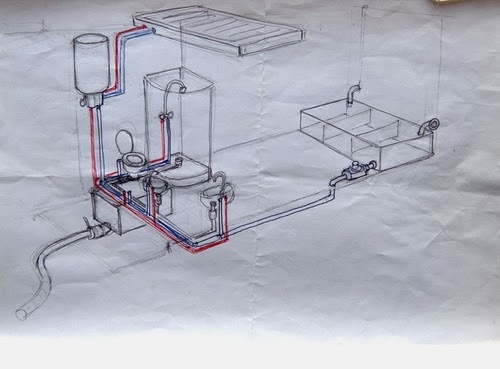 Isometric drawing showing the Water heating Diagram. 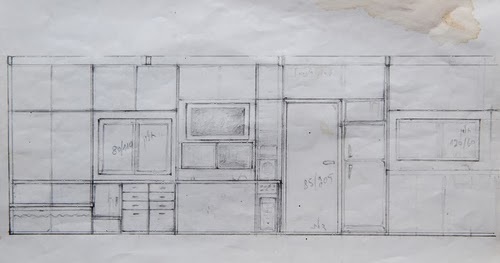 Section through this 11.5m (37.7 feet) long RV. 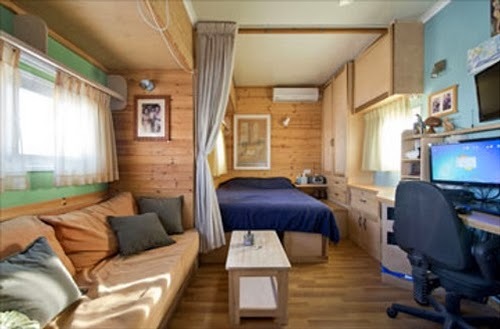 Yosi Tayar designed this truck to be as comfortable as a home, when travelling from place to place without having to compromise on comfort and accessories.